Consider a philosophical thought experiment: Does a volcano erupting in a remote part of the planet, from where no one can hear it, still make a sound? Actually, it does make a sound. Moreover, the sound does not merely occur, it can also inform scientists on the duration and timing of the eruption itself. Within the framework of the United Nations’ Comprehensive Nuclear-Test-Ban Treaty, an International Monitoring System was created to discover any nuclear explosion on Earth - in the atmosphere, underwater, or underground. The system includes a network for the detection of atmospheric infrasound - sound waves that have frequencies less than the lower limit of human audibility. Researchers can use this network to detect volcanic eruptions in remote locations. 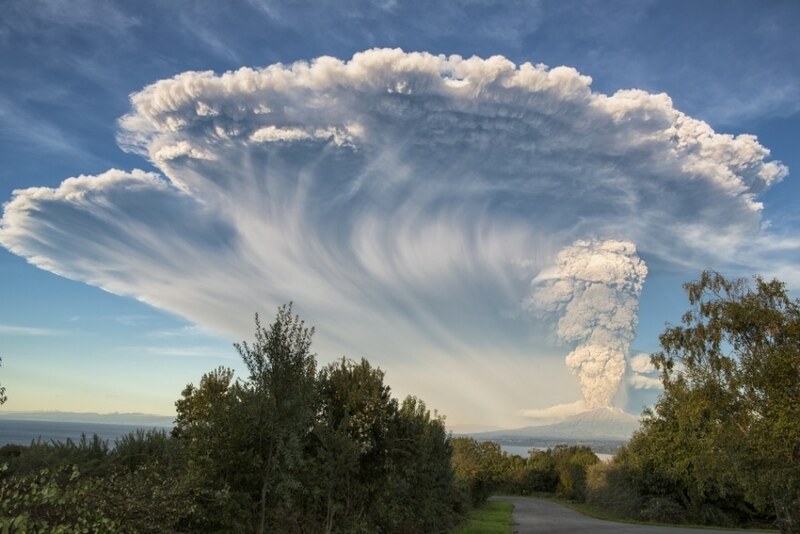 An innovative case study performed by an international team of researchers, headed by Robin Matoza, a UC Santa Barbara geophysicist, analyzed data from the eruption of the Calbuco volcano in the Los Lagos Region of Chile in the year 2015. The scientists selected this event since they were able to compare long-range data with local readings, enabling investigation of the large volcanic explosion with infrasound sensors. The exploration by the researchers showed that infrasound recorded at regional (15–250 km) and longer distances (>250 km), such as on the International Monitoring System, offered similar constraints on the duration and timing of the eruption, similar to data from a local (<15 km) seismic network. The outcomes of their study have been reported in the Journal of Geophysical Research: Solid Earth. We want to be able to monitor regions in the world where many volcanoes do not have local monitoring stations like Calbuco does. In some places—for example, the Aleutian Islands in Alaska—it’s challenging to maintain observation networks on the volcanoes themselves due to harsh weather and their remote locations. Consequently, many Aleutian volcanoes are not instrumented. We want to be able to detect, locate and characterize remote explosive volcanic activity because eruptions can release ash clouds into the atmosphere, which are hazardous to aircraft. In remote locations, scientists generally depend on satellite-based technology to observe volcanoes; however, as Matoza said, a lack of ground-based information will render it tough to know the exact timing of the eruption and its duration. What’s nice about infrasound is that we are able to gather information farther from the source than with traditional ground-based monitoring methods. Typically, seismic signals from eruptions don’t propagate more than a few hundred kilometers from the source. With Calbuco, for example, you can see the eruption very clearly on the local monitoring stations and out to about 250 kilometers on regional seismic networks, but with infrasound, the signal propagates in the atmosphere for more than 5,000 kilometers. What’s more, infrasound delivers different information than seismic data alone. There are a relatively lesser number of infrasound sensors in Chilean national seismic network, where the sensors are co-located with 10 seismometers, or seismo-acoustic stations, which helped in carrying out this study. Matoza stated that positioning such infrasound sensors at more seismic stations in volcanically active regions would prove beneficial. The reality that one such Chilean seismo-acoustic station was located just 250 km from the eruption underlines the considerable potential of prevalent regional seismic networks for supplementing the International Monitoring System with many more infrasound sensors for the detection and monitoring of eruptions.